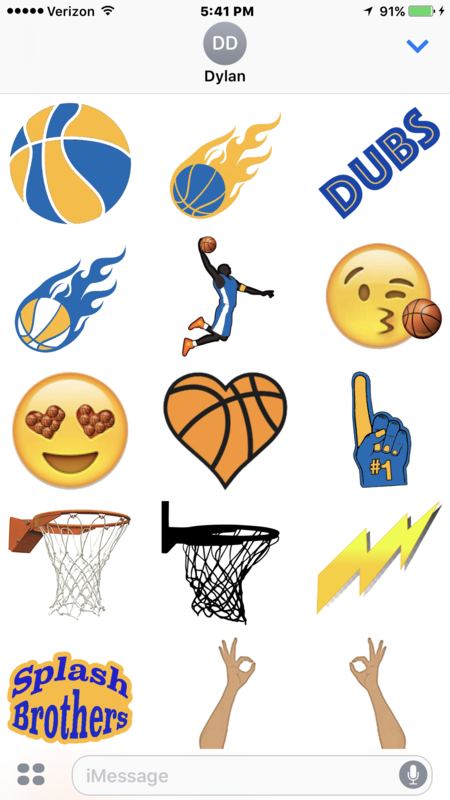 Your Warriors basketball sticker pack for all ages and those who are basketball fanatics. 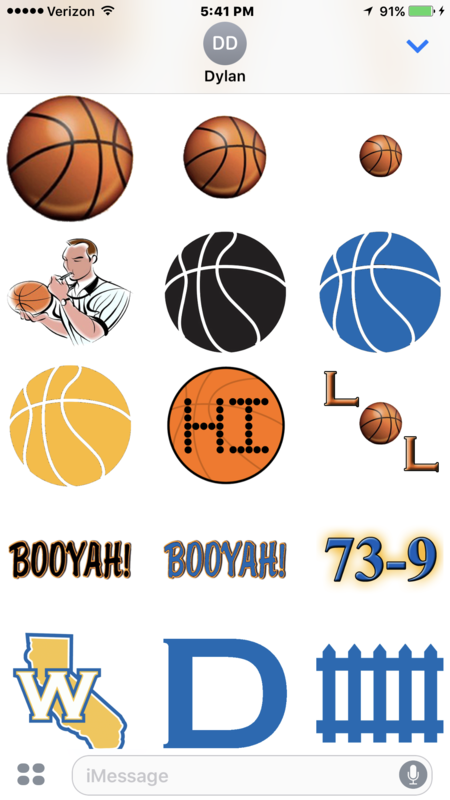 Enjoy this hoops and Warrior themed basketball sticker pack with team colored balls, emojis, hoops, fan slogans, basketball sayings, sticker accessories, scoreboard and themed numbers. 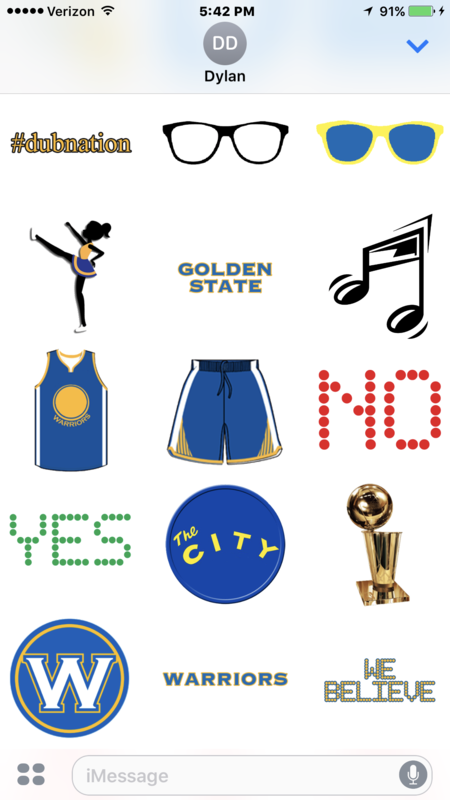 Enhance your conversations with a Warriors colored or basketball expressive sticker. 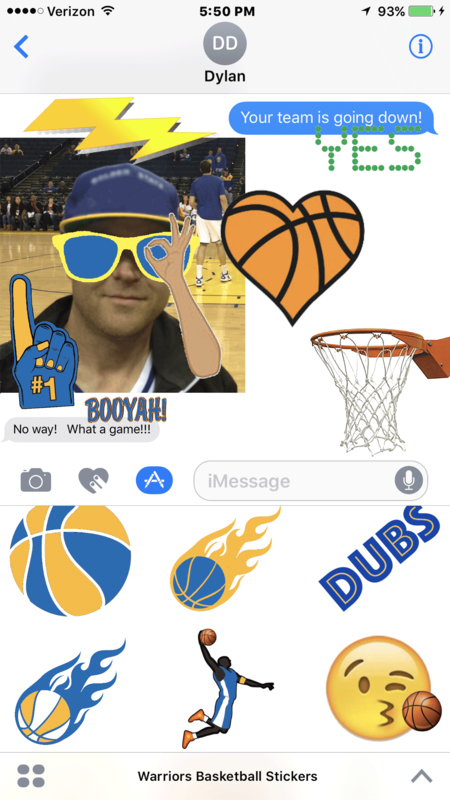 Simply tap to send Warriors basketball fandom in a message, adjust their size, or peel and place them on top of bubbles, other stickers, and your photos whether a Warriors fan or another rival basketball team.